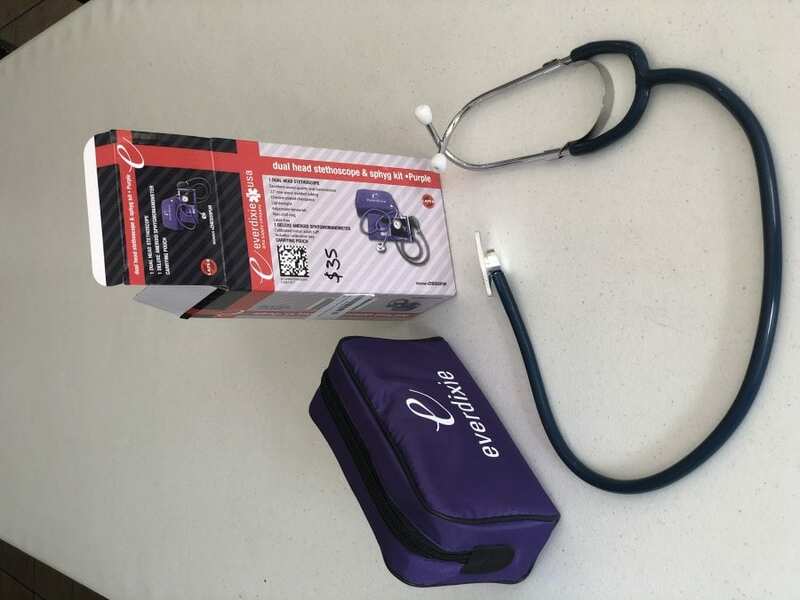 The Dixie Aneroid Sphygmomanometer combo kit is a dependable instrument for EMS, hospital or home use. It features a navy nylon cuff with range markings to ensure proper cuff size selection and an artery label to facilitate correct positioning. The Dual-Head Stethoscope has a chrome-plated, dual-head chestpiece and one-piece molded 22″ (56cm) PVC tubing for excellent sound quality and transmission. Lightweight with adjustable binaurals for a comfortable fit. Built-in rubber non-chill ring. Latex free.